Dr. Binita Mandal, MD, from Mercy Medical Group and Mercy San Juan Medical Center, has started a program designed to lessen the impact of a peanut allergy reaction if a child is exposed to peanuts. Up until this point, the only program like it in Northern California is offered at Stanford University with a waiting list of 800 patients long. 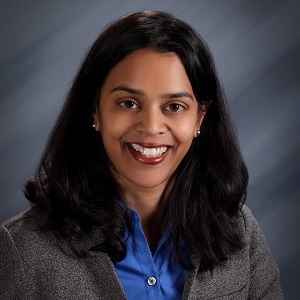 30 children in the Sacramento area are now being seen by Dr. Mandal and her colleague, Dr. Syeda R Inamdar, M.D, at Mercy Medical Group and Mercy San Juan Medical Center. The program is called oral immunotherapy. “Children are given the foods they’re allergic to and basically desensitized, raising the threshold at which they would have a reaction if they had exposure to that allergen.” Dr. Mandal said. By slowly introducing peanut allergy partients to peanuts, they can be somewhat protected. Please call 916.379.2888 to make an apointment with Dr. Mandal at any of the three locations she practices at in Carmichael, Rocklin or Folsom. Appointments can be made with Dr. Inamdar at our Midtown and Big Horn locations. To learn more about how oral immunotherapy is helping children, read this article at CBS Sacramento.